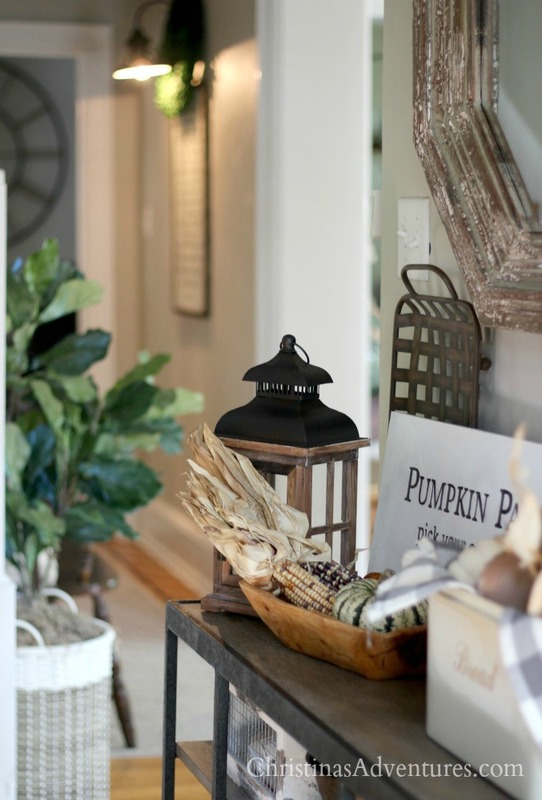 Come tour this farmhouse fall entryway with natural elements, vintage pieces and DIY touches to add cozy and welcoming style. Affiliate links are included. 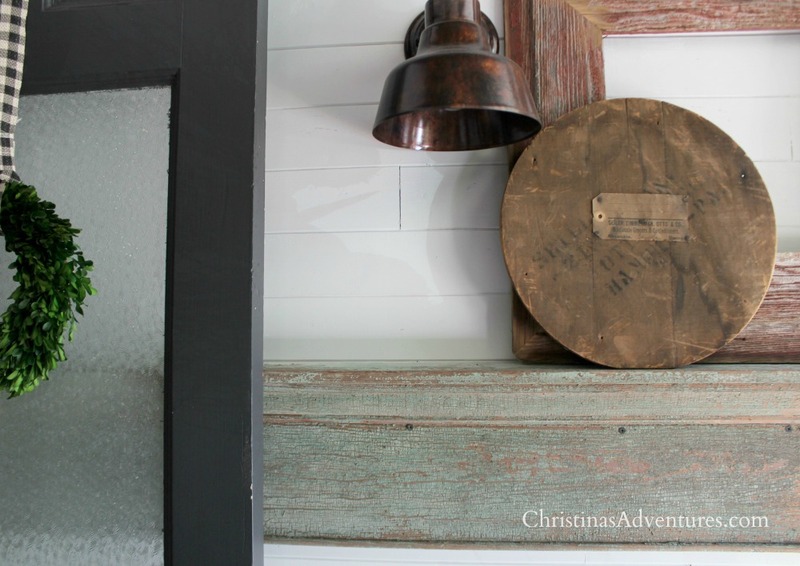 This entryway tour is part of a blog hop with some other amazingly talented bloggers – all organized by Taryn Whiteaker Designs. Make sure you check out their entry ways when you’re done with this post – they’re all linked at the bottom! This hallway has really come a long way in the past 2 years. Do you remember when it had old wallpaper & purple floral carpet? These shelves are so fun to style every season. They’re super functional for storage, but I love to have fun with the top shelf. We’ll be making that “Pumpkin Patch” sign for our first Crafting for a Cause this weekend – click here to see how you can help make a difference! Want to see a little secret? After we moved a doorway for our bathroom remodel, we had to deal with an unfinished drywall wall. Andddd…we haven’t. Ha! 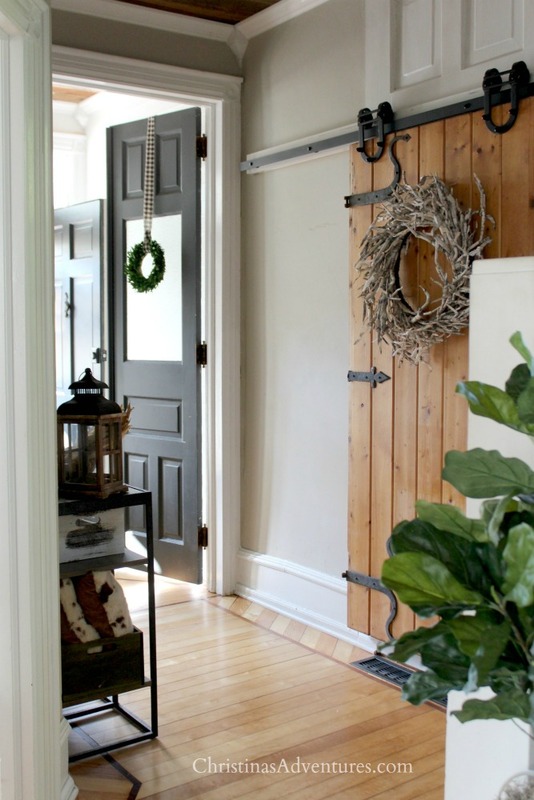 Now, make sure you check out all of the other talented bloggers and their entryways – prepare to be inspired! 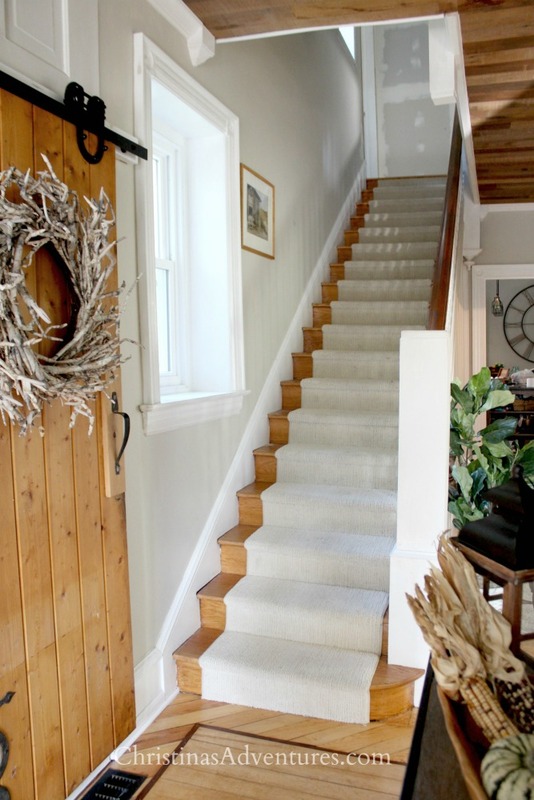 Christina your entryway looks lovely and welcoming. 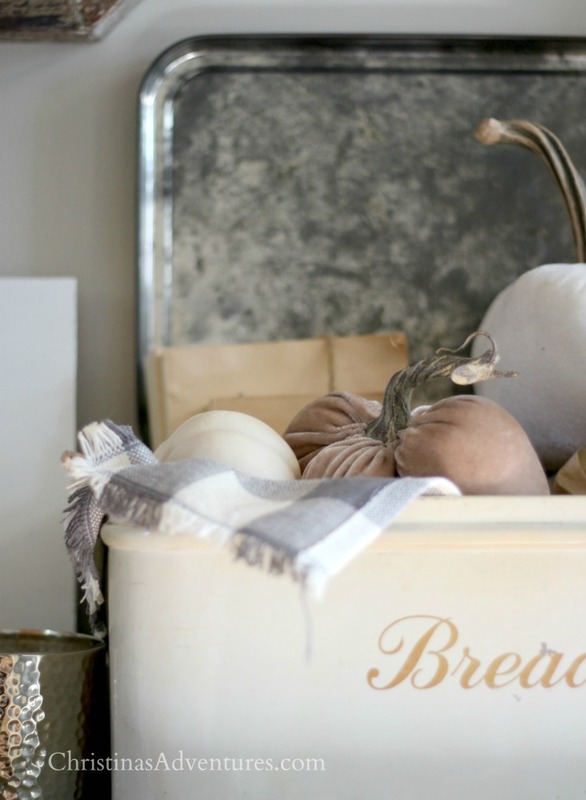 The hues and textures you chose accentuate the space – love it! 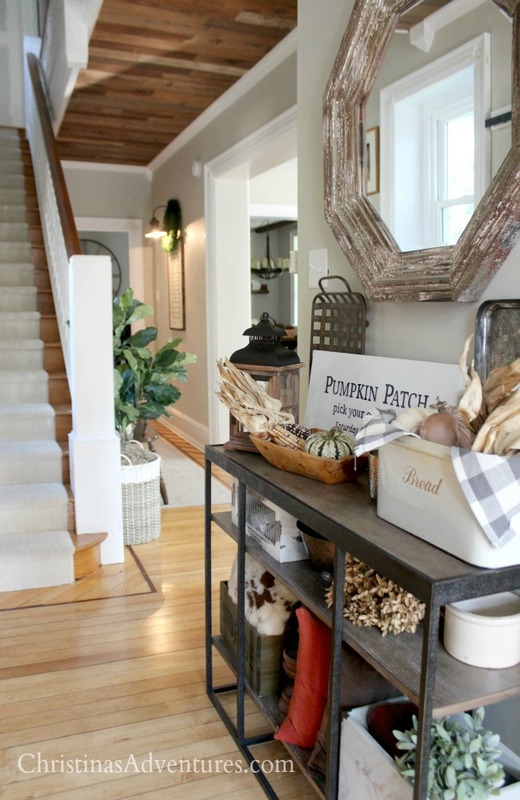 Gorgeous – love all the neutrals and texture you added to your entryway for Fall!! 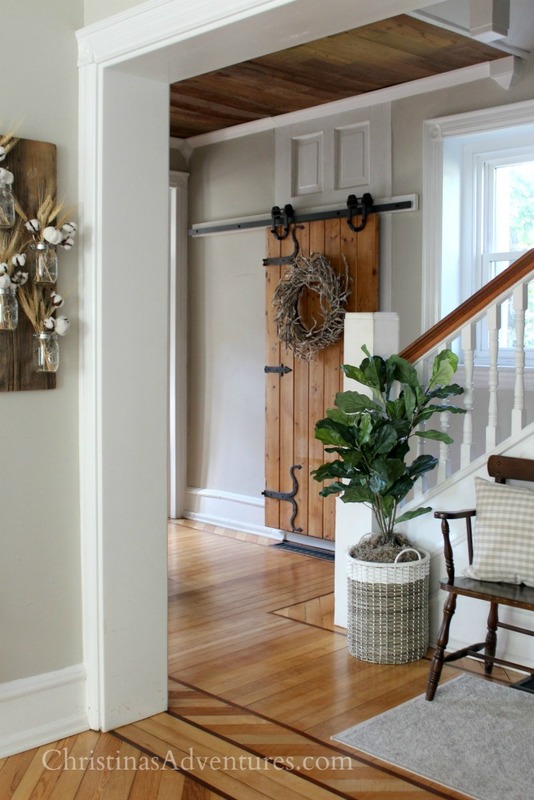 Love the way you styled your entryway your home is so beautiful! So pretty! 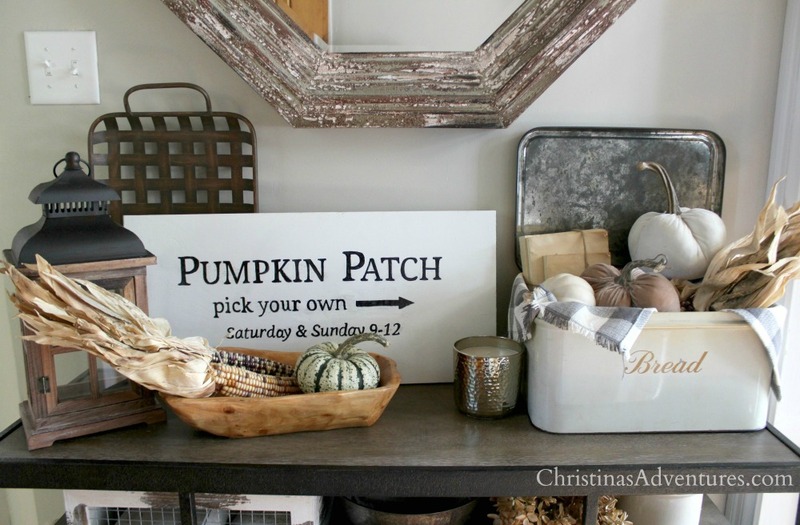 I love that shelving unit and that pumpkin sign is super cute! So pretty friend! I always love how welcoming your home is! 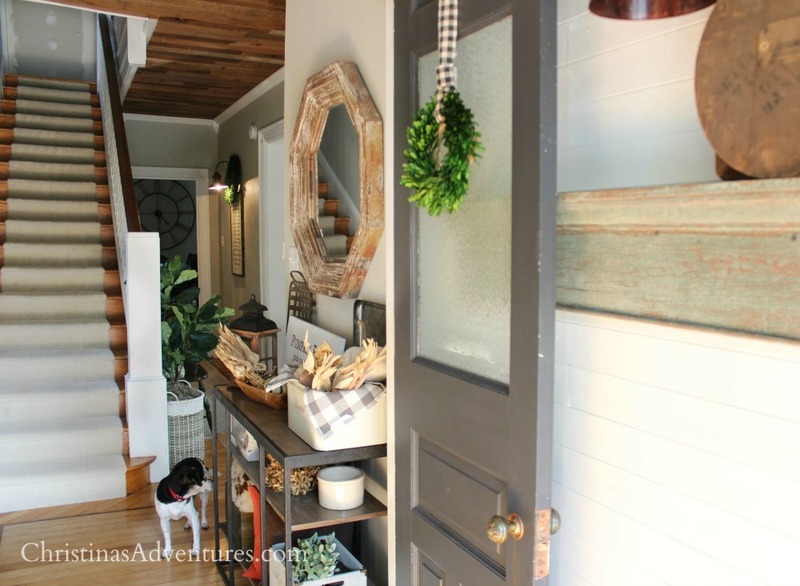 I always love how your style your entry way! It looks so warm and inviting!